Discussion in 'Disney Resorts' started by HollyJoy, Aug 12, 2018. 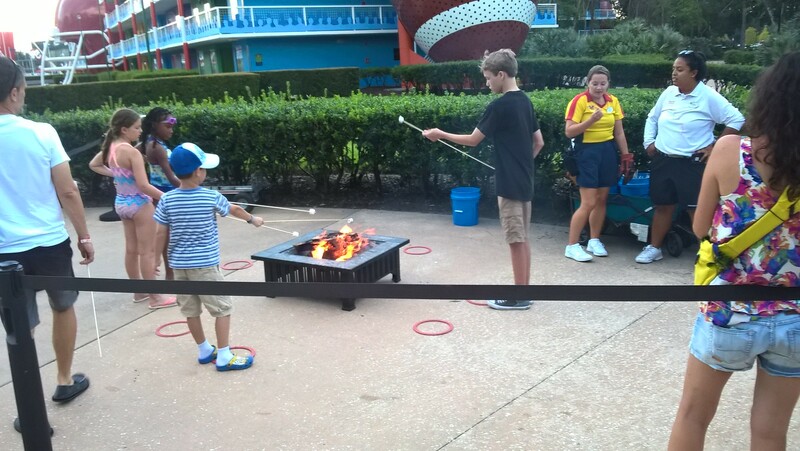 I recently learned that many of the Disney Resorts offer complimentary campfires for resort guests. Which is the best one, or are they pretty much the same? I know that Chip and Dale make appearances at Fort Wilderness, but are there characters at any of the others? Other than Chip and Dales, they are all the same. No characters at any others. GADisneyDad14 and HollyJoy like this. Yeah, Ft Wilderness is the best one. I haven't encountered singalongs at any other ones. I'd say the settings for the two campfire locations at AKL (Jambo House and Kidani Village) make those two a bit more unique than the others (ignoring FW for the moment). The one at Jambo is out on Arusha Rock which is the a primary overlook area just off the main lobby. That location is incredibly peaceful, beautiful, and you have the potential for animal viewing. You just stick your marshmallow in the fire like all of the others, but the setting can't be beat. WEDWDW and dansdad like this. Very good point here that I completely agree with. And had forgotten about. My children are wondering if they do s’mores at the campfires at Port Orleans Riverside? They roast marshmallows, yes. Roasting sticks and marshmallows provided for free. To have s'mores you will have to purchase the Graham Crackers and Hershey Bars at Fulton's General Store. All-Star Sports "recently" added a nightly Campfire to its Activities Program.